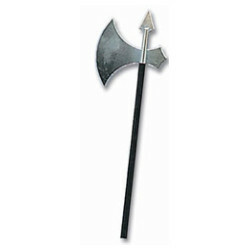 Plastic battle axe, over 21" long. This may ship separately from the rest of your order, additional shipping fees may apply. Please call 1-877-218-1289 for more information.